DAVID LE/Staff photo. 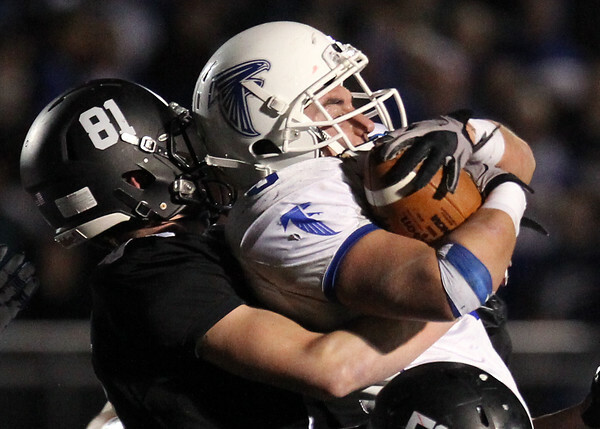 Danvers senior Sam Vitale, right, gets bear hugged by Marblehead junior Manning Sears (81) while being brought down. 11/13/15.